Bengaluru, also called the Silicon Valley of India, is a major tech-hub of the country and attracts a lot of geeks from around for its booming startup culture. It comes as no surprise that the Government in Karnataka is promoting startups to such an extent that spaces at metro station will soon be rented to budding entrepreneurs for their ventures. 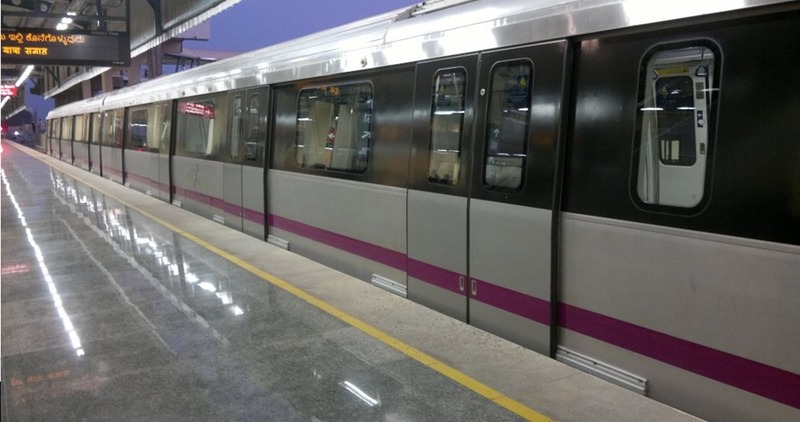 In a report by Economic Times, the Bangalore Metro Rail Corporation is planning to send out notification to startups for renting space at large metro stations in the city. Bengaluru’s metro service is still under construction and only recently a small patch of 4.8kms underground was made open to the public for transportation. There have been certain roadblocks on the way preventing the metro to expand as quickly as planned. Owing to low ridership in the beginning, the plan had taken a backseat, but with the new stations opened recently, the metro officials have come out with the idea of staging startups at the stations to utilize the whole area properly. BMRC was quick to confirm that these startups will only be operational if they reduce the inconvenience to riders in terms of getting access to electronics, groceries, meals, jewellery, art and craft and repair shops etc. Effectively, these small startups will cater to the riders at these stations or around the stations to get their daily fix without the hassles of travelling to far off areas, considering the traffic in Bengaluru is hectic. An excellent initiative from BMRC to give entrepreneurs exposure to the daily riders on the metro. In case you missed your morning coffee, you know where to get it before reaching the office, or let’s say your phone stopped working last night, you could get it repaired at a metro station close to you. "Bangalore Will Soon Have Startups Spaces to Work at Metro Stations", 5 out of 5 based on 3 ratings. Do Startups Need to Worry About Succession Planning?